On Sunday, September 16th the Gallery was full of art lovers enthralled at the color and mottled detail of Dan Petersen’s paintings. 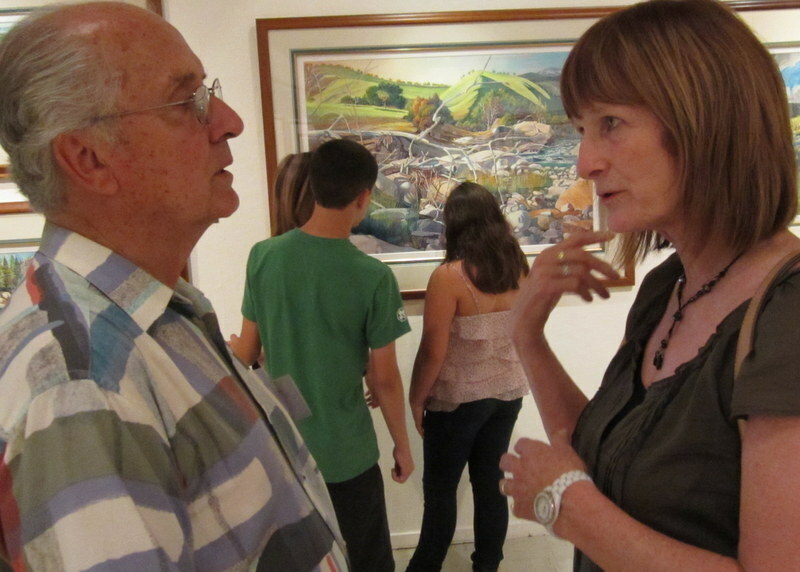 The show’s reception was a wonderful success and attended by many of Dan’s friends and former students. “Work Since I’ve Worked” continues through October 11th. 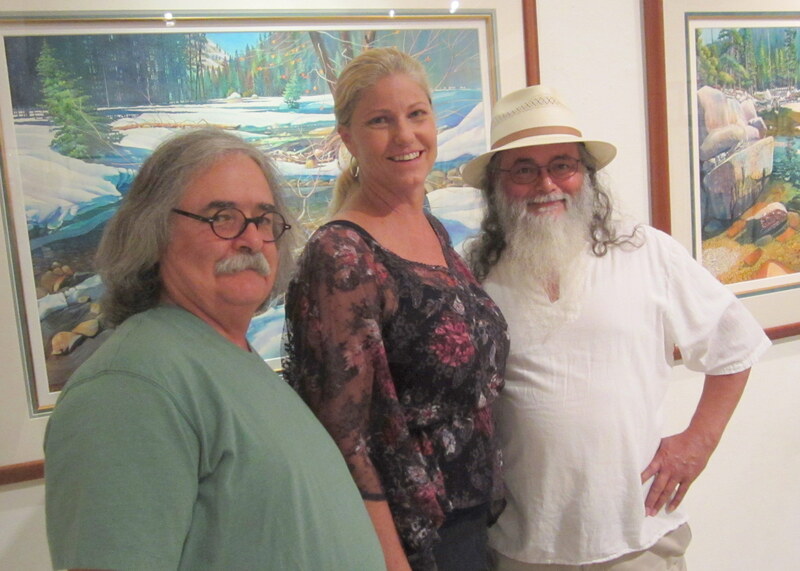 MJC Art Professors Tom Duchscher and Richard Serros take a moment to welcome new VP for Instruction Susan Kincade. Dan Petersen and Barbara Page discuss their time together as teacher and student.